Candy seems to be a popular fundraiser item, and lollipops are no exception. These popular candies-on-sticks can put a smile on nearly everyone’s face, and they’re a relatively simple fundraiser for your group to host. The good thing is that you can run this fundraiser several times through the year, since lollipops never go out of season. As well, they’re relatively inexpensive to buy and to sell, so your profit margin can be quite high. Your group will find a company that sells lollipops wholesale so that you can buy them in advance for a relatively low price. Many companies will have a variety of choices and flavors to choose from, and you can get lollipops that reflect your group’s focus. For example, a music group can get music note lollipops, or a sports team could get lollipops that resemble a soccer or football. As well, some companies will offer custom label printing for your group if you want to pay a slightly higher price. 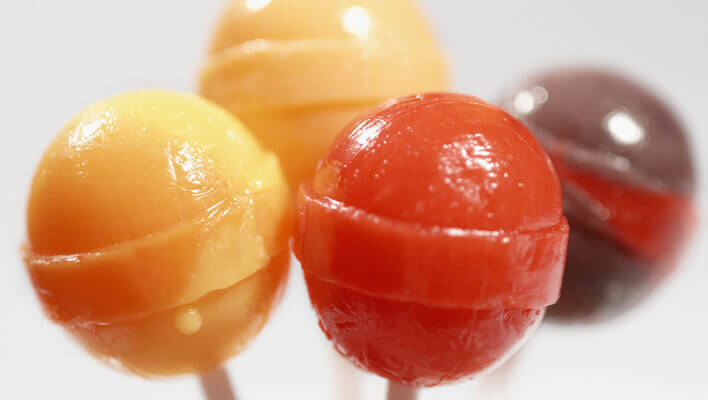 Do your research – most companies will send you a free info kit that will explain the process and tell you about their flavor choices and lollipop designs. Once you’ve gotten your lollipops, you’ll set up a booth in a prominent place and sell the lollipops at whatever price you set. Be careful, here – people won’t buy them if they’re too expensive. You can sell lollipops easily at any time of the year and in just about any place. Rent a booth at a local craft show or sell them at school during the lunch hour or just before everyone goes home for the day. Since you can set your own price for lollipops, you can also set up discounts like “Buy four lollipops, get the fifth one for free”. You may even find that parents are willing to take lollipops into their workplace to sell, or if you’re really lucky, retail stores may sell them for you at their checkout counters. If you’re selling for a school team, many schools will set up the lollipop sales by offering “candy-grams” for Valentine’s Day, Christmas, or Easter by allowing students to send a lollipop and a message to their friends and sweethearts for a price, with all the money benefiting your team or organization. You’ll find that this works better in a high school. This is a great way to incite some holiday spirit and make some money for your team. Lollipop fundraisers have a great profit margin – you can make 100% profit or more, depending on how you price the lollipops. Beware, however, of pricing them too high – people won’t buy them if they’re too expensive. Aim to price them at around double the price you paid for them – for example, if you paid $0.25 a lollipop, selling them for $0.50 is reasonable. If you think people will pay more, you could stress the fact that you need the money for your cause and that may keep your sales up. Make sure you have enough overhead to start with to buy the lollipops – this shouldn’t be too much of a problem, as the lollipops aren’t too expensive. Like all fundraisers, selling lollipops has its pros and cons. They’re a great way to raise money for small groups, like teams, clubs or classes. They can be bought and sold for a low price, which makes them easy to work with and the fundraiser easy to get off the ground. As well, you can get creative with the lollipop sales, attracting customers through “candy-grams” and customization. Because they’re so portable, lollipops can also be sold anywhere and are easy to set up and take down, so you won’t need a lot of volunteers for this project. However, there are disadvantages to a lollipop fundraiser. If you mishandle the product, you’ll end up taking a loss in profit, because people won’t buy broken candy, or if they will, they’ll only buy it at a discount. As well, you need to sell quite a few lollipops in order to make a good profit. However, if you hold lollipop sales several times a year over a period of a few weeks, you’ll earn what you need. As well, people may not want to buy the candy if they’re watching their weight or on a health kick. Lollipops are also a popular fundraiser, so other groups may have the same idea. However, despite this, lollipop fundraisers normally do quite well. After all, if someone doesn’t want to eat one, they might know someone else who will! Additionally, customizable candy might have more appeal to customers who want to support your team or group. Either way, it’s a sweet treat for a low price – who can resist?